Iceland and the United States are connected in many ways. One of them is the passion that many of our citizens have for antique and classic American automobiles. This past week, our good friend Arni Sigurdsson invited Mary and I to participate in the traditional Thursday evening parade of antique automobiles in downtown Reykjavik. The event starts at the Kruser’s Club where classic car enthusiasts bring their cars and park them to be beholden. The collection ranges from early 20th century models all the way up to seventies and eighties (I can say that it is quite sobering to know that I remember when some of these models were launched). At around 9:00 pm, the caravan of classics leaves the club to cruise down Laugavegur and the lower downtown. The best part of the experience was watching the facial expressions of tourists as well as Icelanders when they see such a collection of vehicles up close and personal. I rode in Arni’s 1978 Dodge Diplomat Station Wagon, a “woodie” complete with a built-in CB radio - the perfect vehicle for shuttle diplomacy. The Game of Thrones crew is back! During one of the most perfect weather days this summer, some embassy colleagues and I had the opportunity to visit the Game of Thrones set in Iceland. 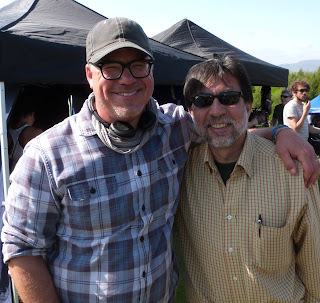 The crew is filming Season 4 and it promises to be even more thrilling than the last one. We saw the filming of scenes that will definitely not disappoint. We had a brief moment to chat with director Alex Graves who confirmed that American film crews in Iceland find the support provided by Icelandic film service firms, in this case Pegasus, is superb. 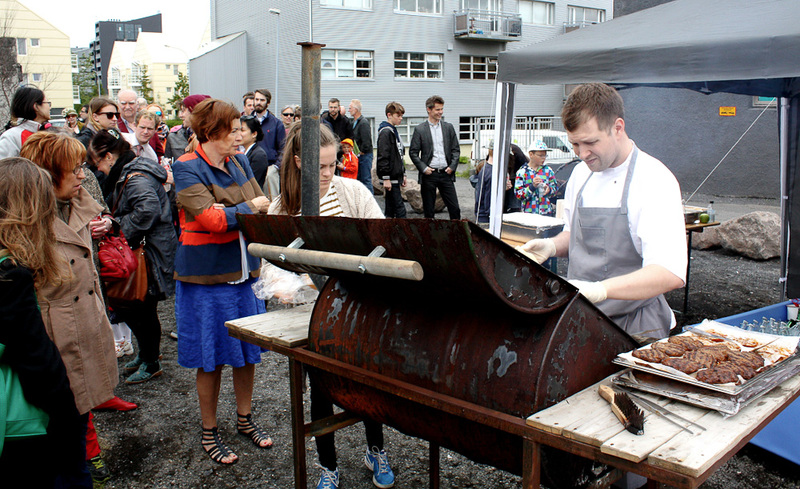 We are not surprised to learn that American and Iceland enterprises work very well together. 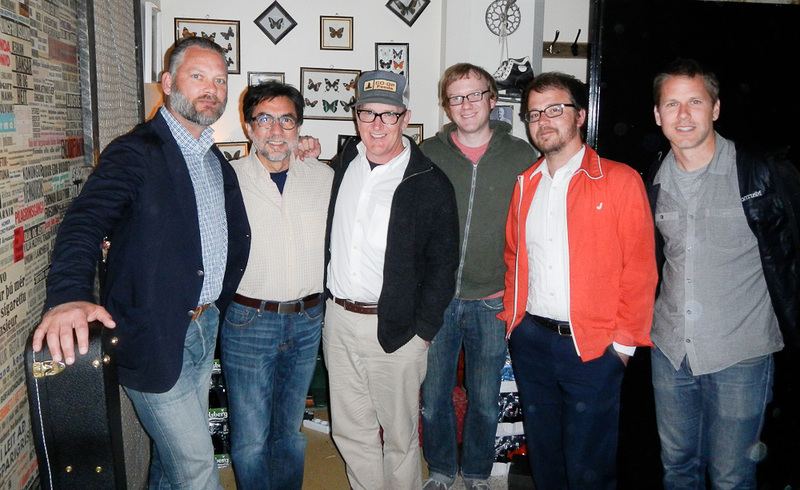 HBO representatives were equally pleased with their work in Iceland. I can't wait to watch aSeason 4! I had the pleasure of meeting a large contingent of interns spending their summer working at Carbon Recycling International--the world's first industrial plant that converts CO2 emissions from a geothermal plant into methane fuel. The group included a large contingent of American college students from prestigious institutions. Other nationalities included Canadian, Polish, German, Chinese and Icelandic. 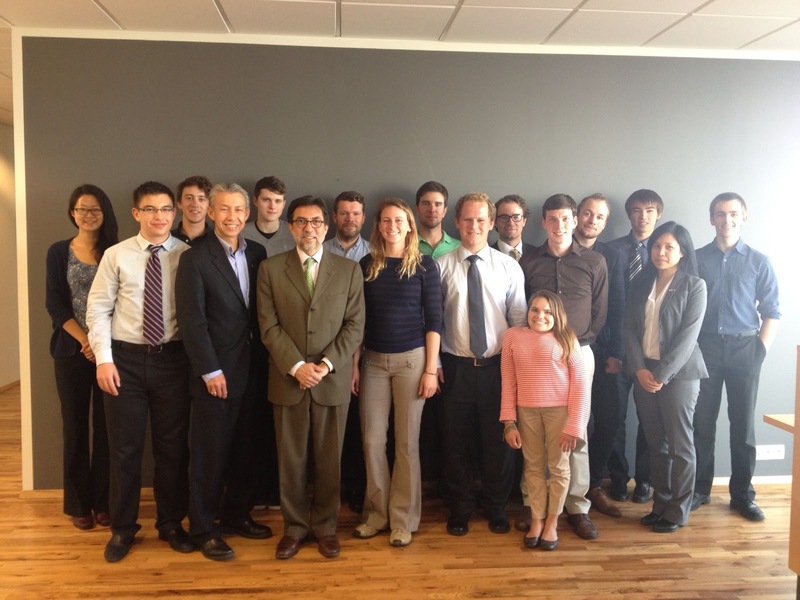 It was great to talk to these young people committed to making renewable energy the way of the future. As is usual in hikes led by Ari Trausti, I learned a lot about the geological history of the area. The icing on the cake was the visit to a nearby hill that straddles a fissure that literally splits the mountain. The result is a spectacular path that cuts through the mountain. Many in Reykjavik don’t know about these gems nearby. This weekend as I was walking Brenna along the Tjornin, I ran into a horde of Vikings, some clad in armor, others tending to their horses, while still others resting in front of their tents. 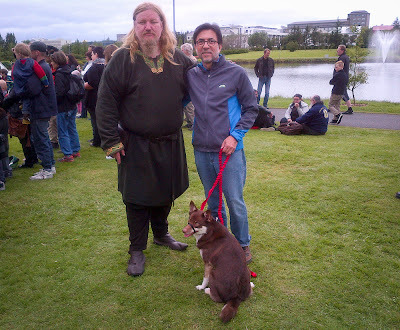 One of the biggest Vikings in the group, Gunnar Viking Olafsson, approached me (unarmed of course) and told me this was the first Reykjavik Viking Festival and much to my delight among them was at least one of their American descendants who is dedicated to the preservation of Viking culture. The group staged fake charges against unsuspecting by-standers and even offered a demonstration of their horsemanship. 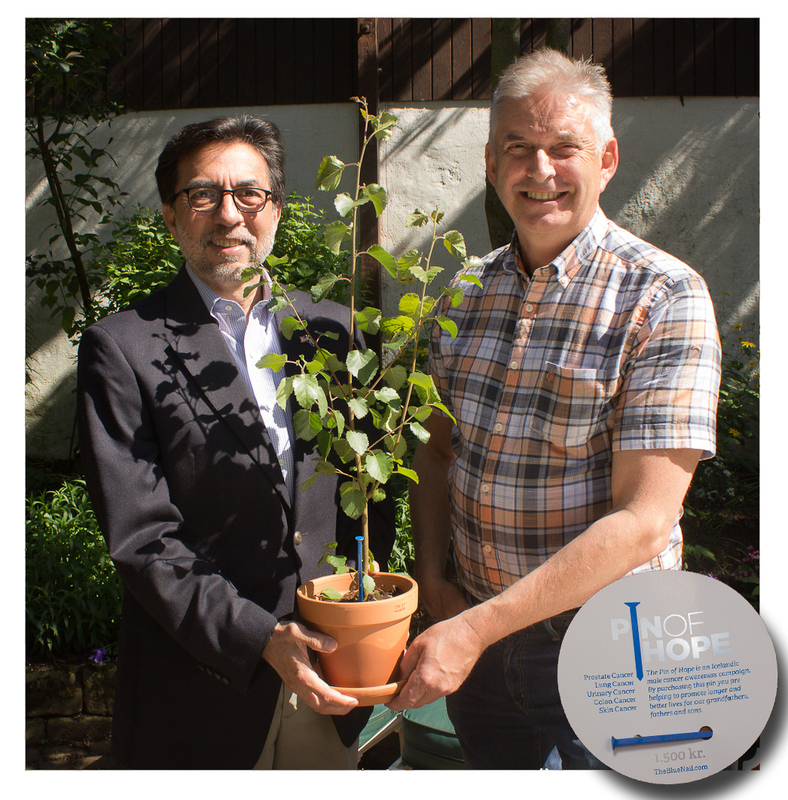 Considering the weather of the last few days, the turn out for the event was great and it bodes well for this great initiative. We were delighted to welcome USS The Sullivans and its crew during a brief stop to Reykjavik on the way to Europe. The Sullivans is a United States naval ship named after five brothers who served together and were all killed in the battle for Guadalcanal during World War II. It is always reassuring to meet and talk to our young men and women in uniform and to have the opportunity to offer them our hospitality in beautiful Iceland. Every single one of them raved about Reykjavik, its people, and how welcomed they felt in the city. 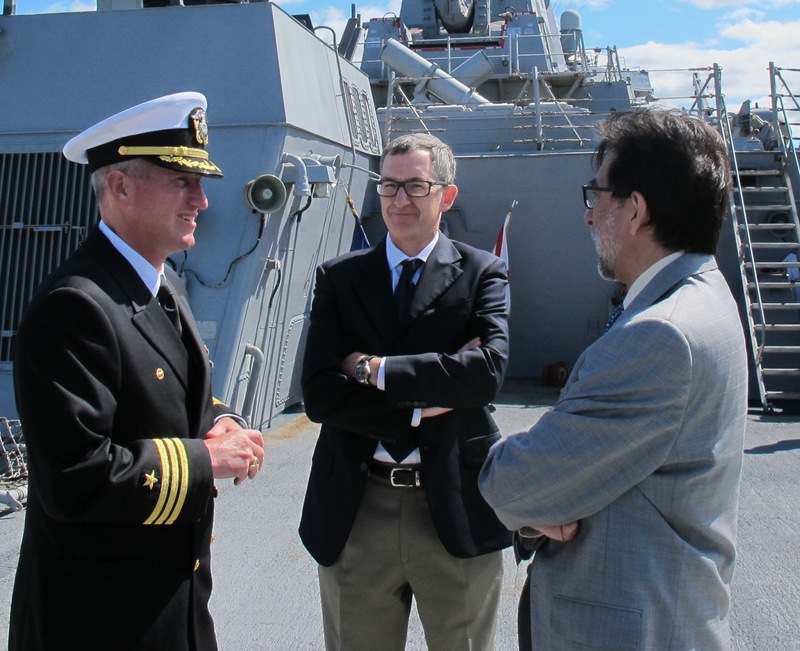 We are deeply grateful to the Iceland Coast Guard and to the Port Authorities for facilitating this visit. In a typical Icelandic fashion, participants in the 4th of July picnic organized by the Icelandic-American Business Forum and the Icelandic Fulbright Alumni Association did not let weather conditions get in the way of having a good time. This was the chilly day when “This year early winter arrived in Iceland in late spring” was heard to describe the scarcity of summer days this year. 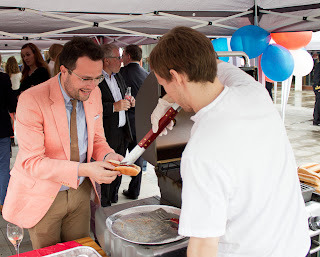 It was a great event with music, fantastic hot dogs, hamburgers, sausage, and pulled pork sandwiches. 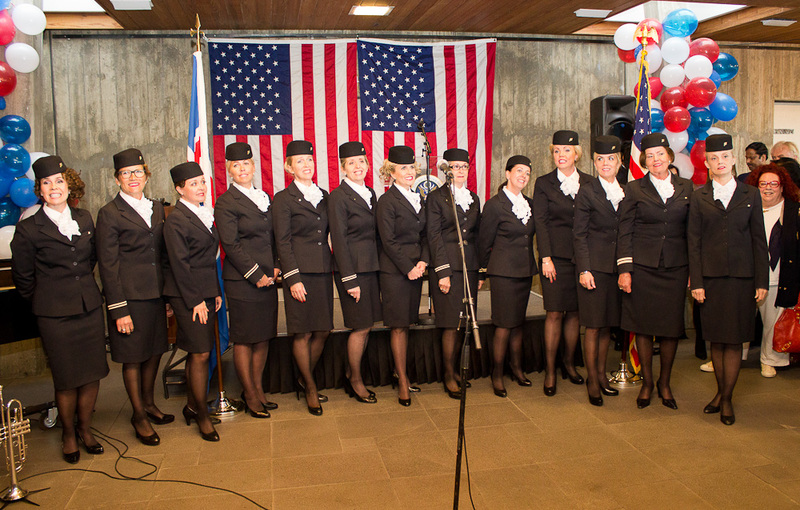 All in all, the event reflected the deep bonds between Icelanders and Americans. We were invited to welcome “Lambchop”, an American band from Nashville, Tennessee, for a tease performance at Kex; they held their concert at Iðnó the next day. They were part of Kex Köntrí, a Country Music series presented by Kex which included some fine Icelandic bands that play both country and bluegrass music. 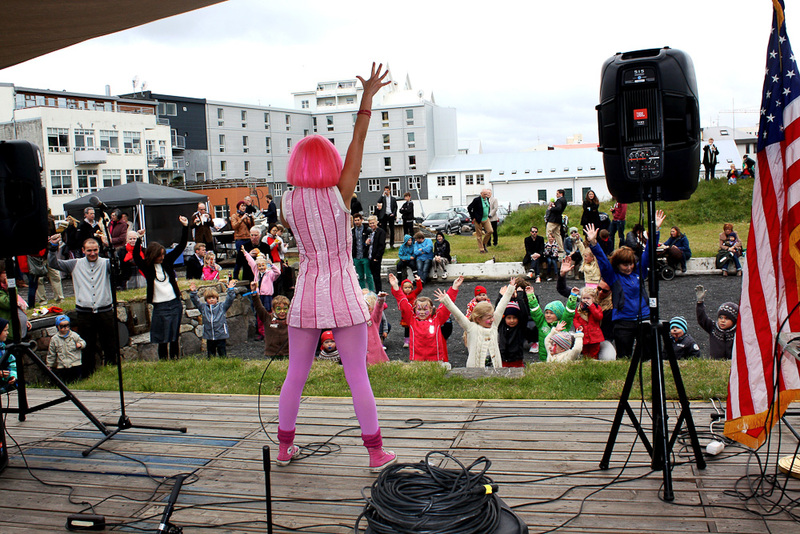 The quality of the performances was great and it was clear from the standingroom-only audience that country music is very popular in Iceland. 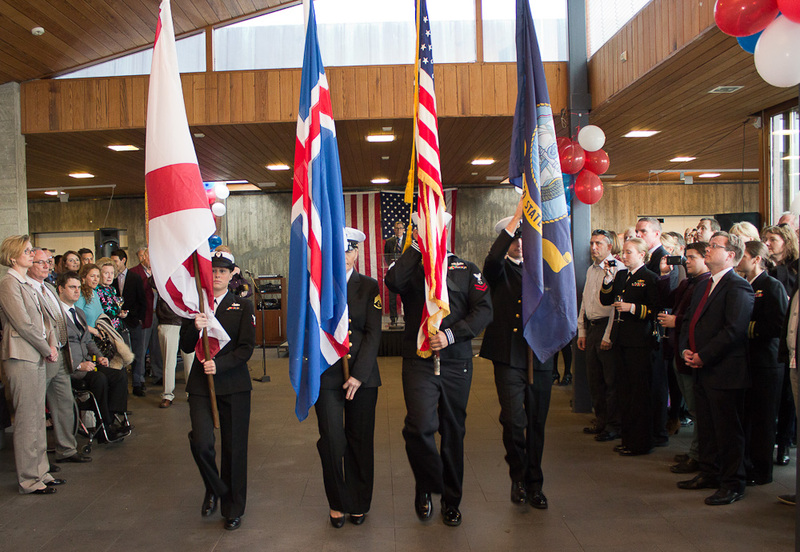 We were especially proud that the daughter of Ambassador Irving and her family participated in the ceremonies commemorating this event in Iceland. She read a message from Ambassador Irving who had wanted to be in Iceland for the event. 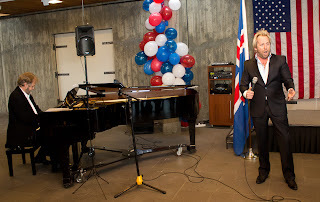 While he was not able to make the trip, he wanted the people of the Westman Islands and of Iceland to know that he still vividly recalls the events of 1973 and remembers fondly all that was accomplished in 1973 through Icelandic-American cooperation. One of the many values we share with Icelanders is the deep love and respect each of us has for our respective countries. 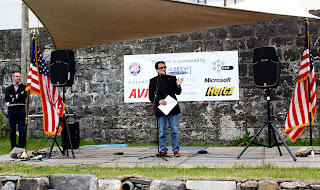 I saw it in Iceland on June 17 when we were honored to participate in the celebrations of Iceland’s National Day. 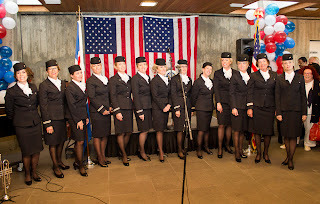 So, on July 4th, we wanted to share the celebration of our independence with our Icelandic friends. We hosted a reception at Kjarvalstaðir and tried to emulate what we do in the United States: show deep respect to our nation and enjoy festive music, hot dogs and hamburgers, all mixed in a with a bit of nostalgia. 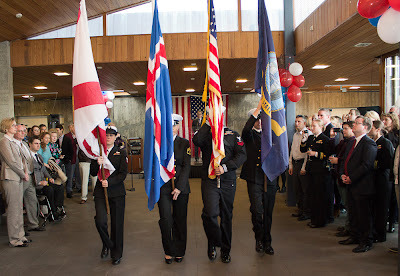 We are grateful to the crew of USS The Sullivans and the Icelandic Coast Guard for presenting the American and Icelandic Flags and to our Helga Magnusdottir for singing beautifully our national anthems in a solemn ceremony. We are also grateful to Maggi Kjartansson, the Icelandair Choir, Stefanía Svavarsdóttir and Geir Ólafsson for presenting a fantastic music program, to our corporate sponsors, and to our Icelandic friends who displayed an array of American Car Classics ranging from a 1914 Maxwell to a 2013 Chevy Volt and roaring Harley Davidsons. We think our guests had a good bit of fun. We were delighted to learn that Keilir and Embry-Riddle Aeronautical University signed a cooperation agreement that strengthens each other’s pilot training. According to the announcement, Embry-Riddle has been called "The Harvard of the Sky" and has a history dating back to the early days of aviation making it the world's oldest, largest, and most prestigious university specializing in aviation and aerospace. It is the only fully accredited aviation-oriented university in the world. 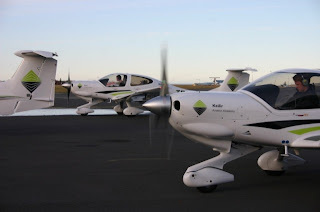 This is a great fit for Keilir’s Aviation Academy which is also known for having a highly experienced staff of airline pilots and instructors along with excellent affordable housing and brand new Diamond DA20, DA40 and DA42 aircraft. 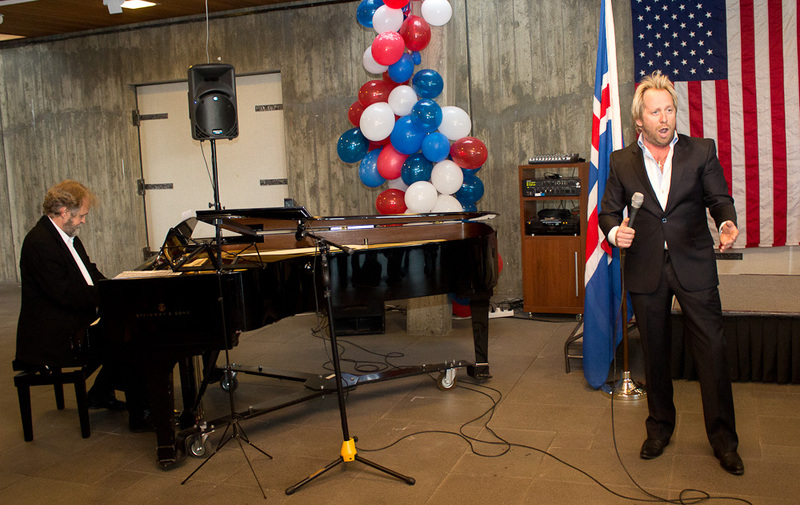 Another excellent example of the broad range of partnerships between Iceland and the United States.